Mark the first weekend in June with outdoor music, iconic New York photography and a spin through a film festival. Matt Maggiacomo gives you the highlights. *Start the weekend in Chelsea for NewFest, the New York LGBT Festival. One entry generating a lot of buzz is the closing night premier of "Pop Star on Ice," a playful documentary about olympic skater Johnny Weir. *Head over to the Not Fade Away Gallery for a 70s photography of Allan Tennenbaum. The exhibit captures the New York music, art, and nightlife scenes of the time -- including iconic photos of Studio 54. *In the mood for some music? TriBeCa's new music festival, NextGen, features classical music by composers in their 20s and 30s. The festival takes place at 41 White Street. City by Subway: The First Week of June! It's officially June, so get outdoors this weekend and take in some of the best of NYC. 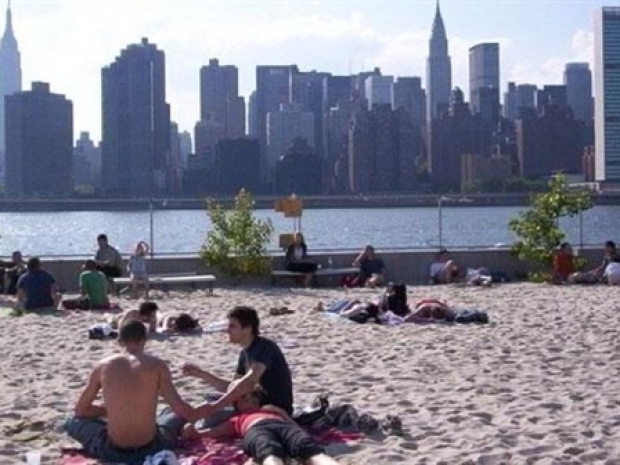 *Head out to Queens to Water Taxi Beach where mixmaster DJ Victor Franco will keep the beat while the cheap drinks flow.